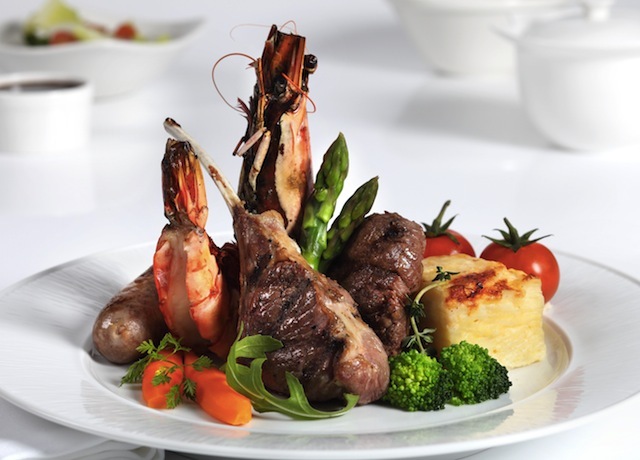 A popular seaside dining destination in Singapore is Barnacles restaurant at Shangri-La’s Rasa Sentosa Resort. 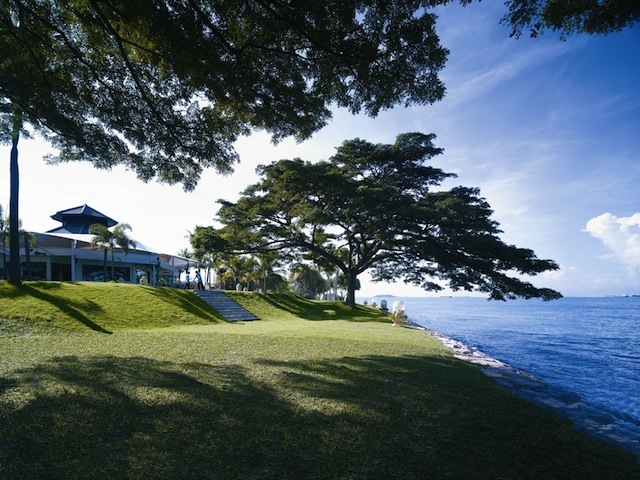 Located waterfront, overlooking the South China Sea, Barnacles offers a rare and beautiful backdrop for an intimate evening culinary experience on Sentosa Island. 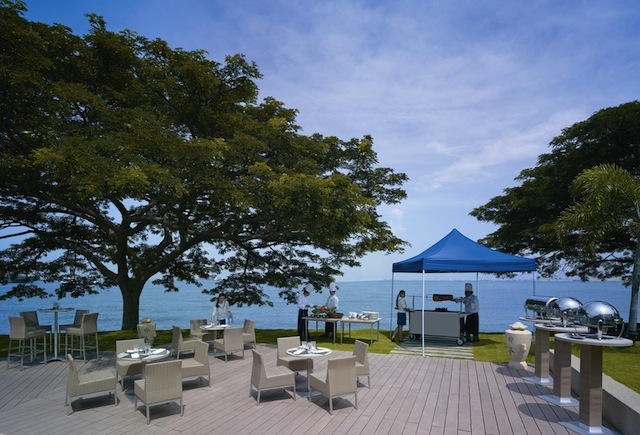 The alfresco dining area is available for those who prefer to dine outdoors by the sea, enjoying the sunset before with dinner. 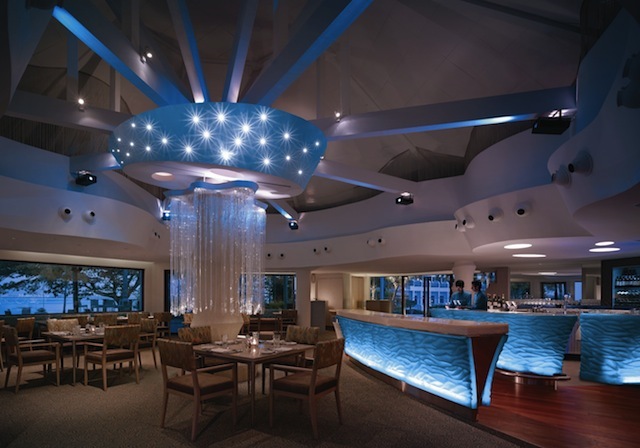 Barnacles’ plush interiors feature an underwater-themed design, A private dining room – the Aquarium – is available to those who wish to hold small private functions for up to 30 guests. 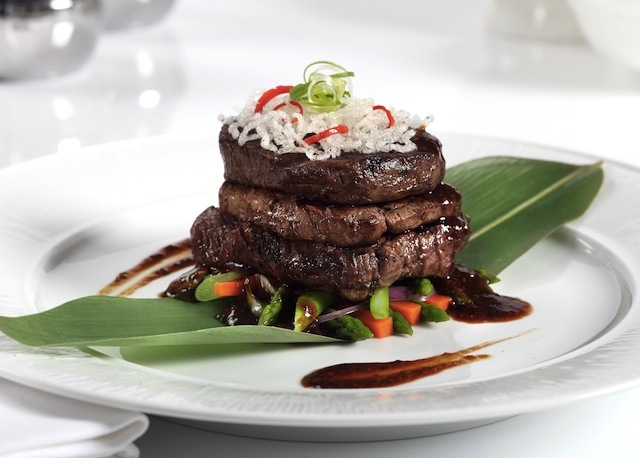 Banacles’ Chef de Cuisine Joanne Chee only uses the freshest ingredients and has created an extensive menu ranging from specialty appetizers to air-flown seafood such as oysters and Alaskan crab legs. 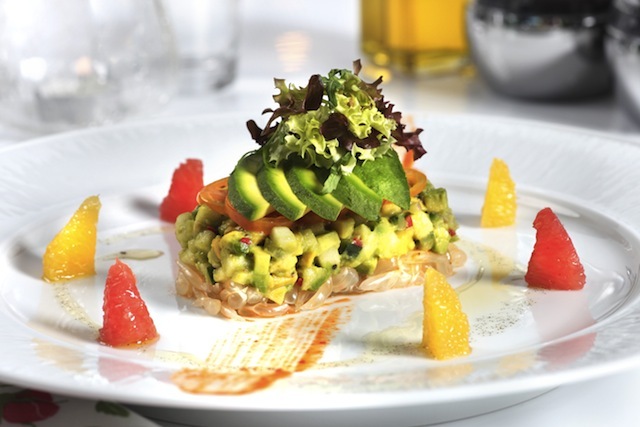 Here are a few of the restaurant’s top dishes, like the Avocado Tartar & Pomelo Salad pictured above. 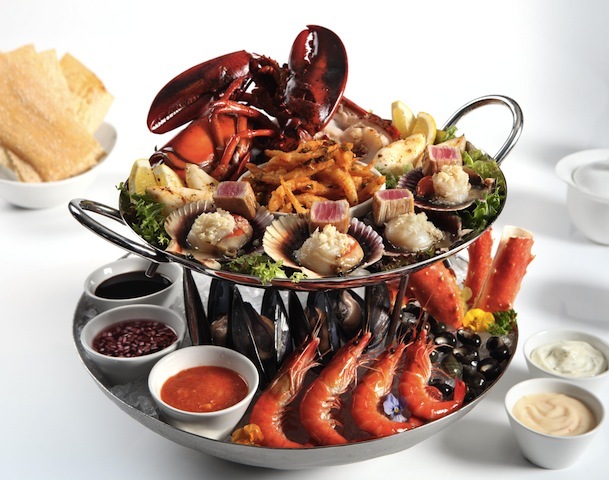 Barnacles’ seafood platter features a towering two-tier showcase of bountiful pristine seafood. 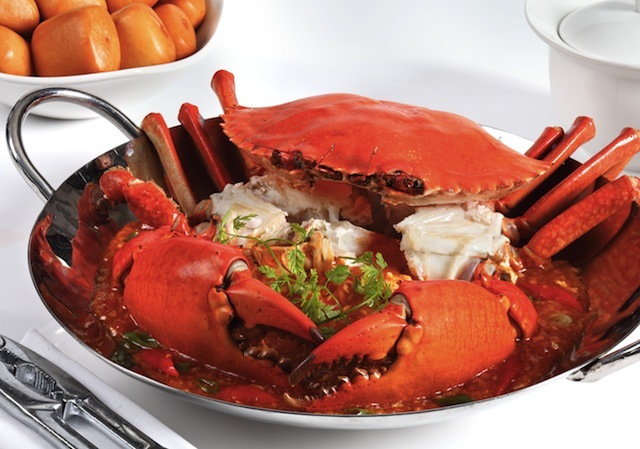 Highlights include hot favourites such as squid and spiny lobster, and scallops on shell; and chilled delights such as Alaskan crab leg, mussels and oysters. Perfectly complemented by calamansi sambal, shallot vinegar, lime soy sauce and sweet chilli mayonnaise. Is your mouth watering?